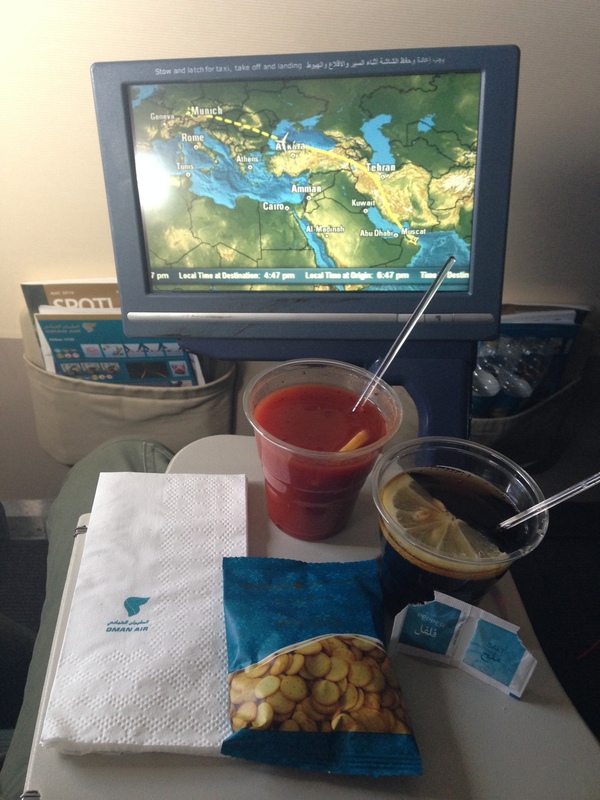 For my stay in the Sultanate at the Indian Ocean I decided for flights with the national Airline Oman Air. I was absolutely convinced because of the young fleet, the promising features and the 30 kilos free baggage. 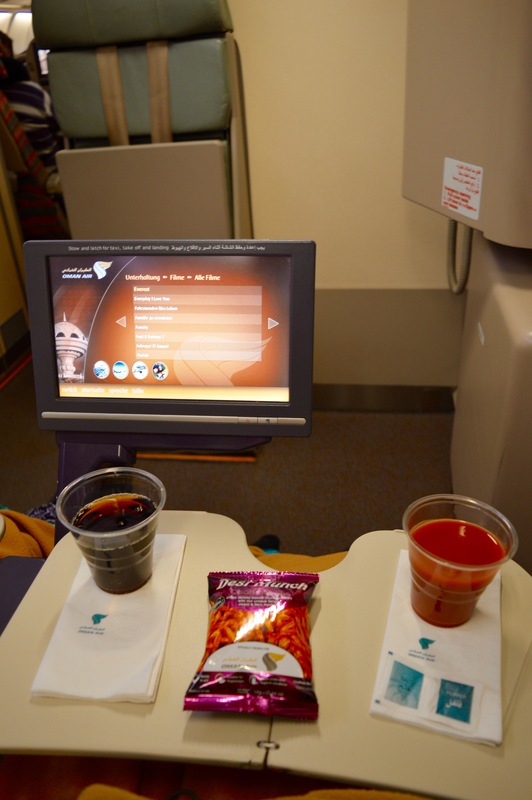 Both the onboard services, as well as the entertainment system was very good! All my flights were consistently absolutely quiet, very comfortable and the service was outstanding! The trip to Oman started from Terminal 1 at Munich Airport with an overnight flight to the capital Muscat. 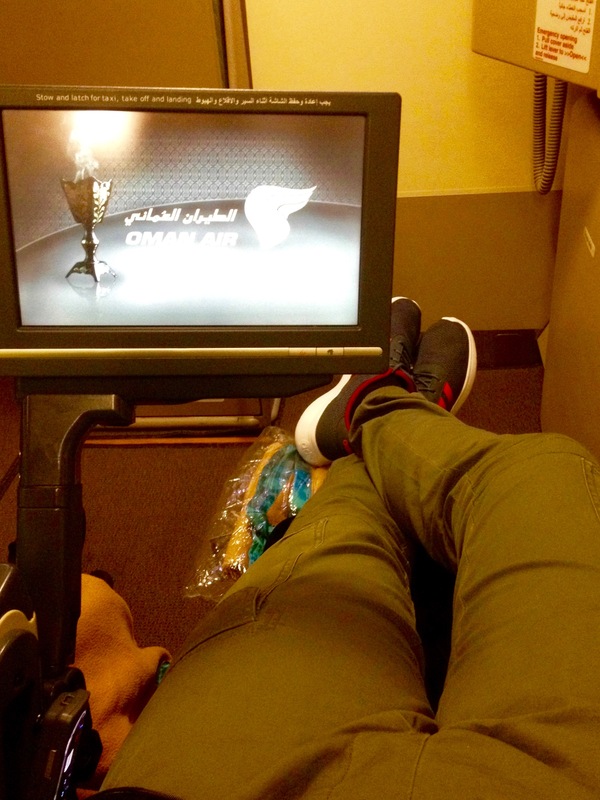 The 6,5 -hour flight was operated by Oman Air with an Airbus A330. Especially at night, it is highly recommended to reserve a seat at the emergency exits. Endless legroom, the touch screen is easily stowed in the armrest and an additional screen was integrated the wall in front of me. Previously I´ve known Amenity kits only from the business class. 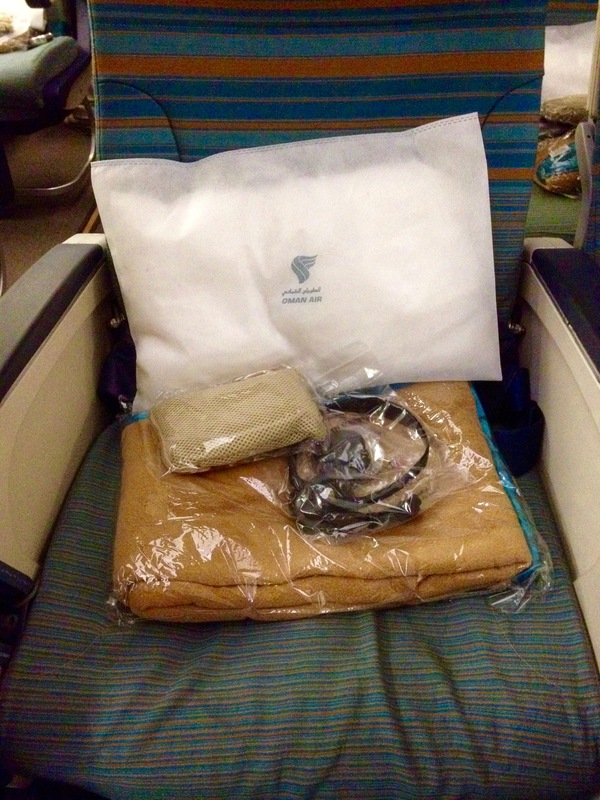 However, Oman Air offers this great kit in economy class, as well. In addition to a pillow and a blanket, a pair of socks, a sleeping mask and a toothbrush kit is packed in a stylish bag – very nice! 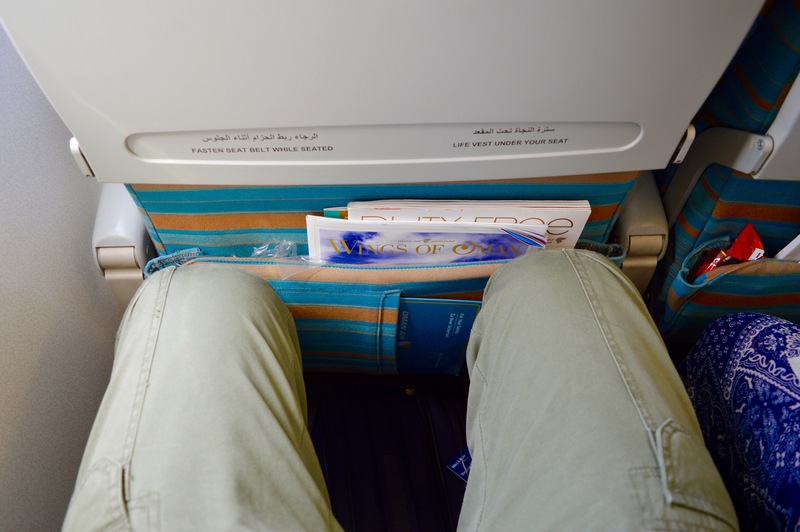 On the return flight from Salalah to Muscat I sat on a „normal“ economy seat. The legroom there was definitely more than on short- or medium-haul routes. The entertainment system was great! Countless Hollywood blockbusters even in German language, two different cameras through which I could see the exterior and the back of the small, removable remote had a joystick for the numerous games – perfect! The flight service itself was definitely excellent! The whole crew was very friendly, courteous, motivated and they always had a smile on their lips. The 3-course main dish was served hot, it was delicious and consisted – in my case chicken with risotto and broccoli, potato salad and a slice of chocolate cake. During the flight it was incredibly quiet, silent and a very pleasant fly. 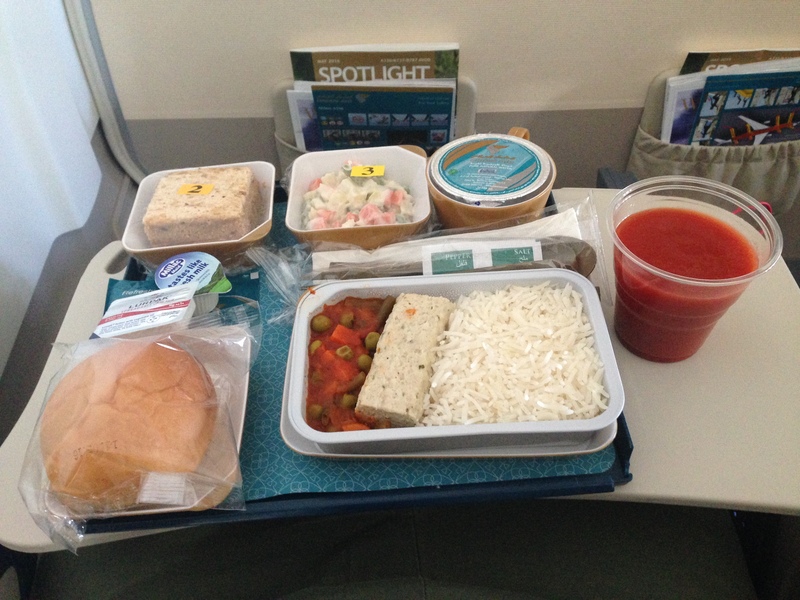 The domestic flight from Muscat to Salalah was operated by Oman Air with an Embraer 175. 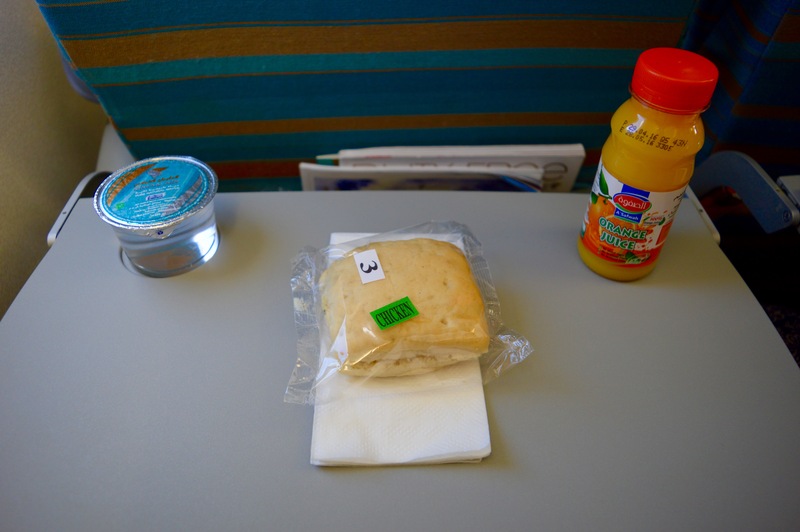 During the two-hour flight, orange juice, water and a cold sandwich was served. Even if the food doesn´t visually conveys the appealing impression, it was really delicious. The special feature on this flight was, that even in this small aircraft, each passenger had his own screen available that offered different entertainment options via touch. 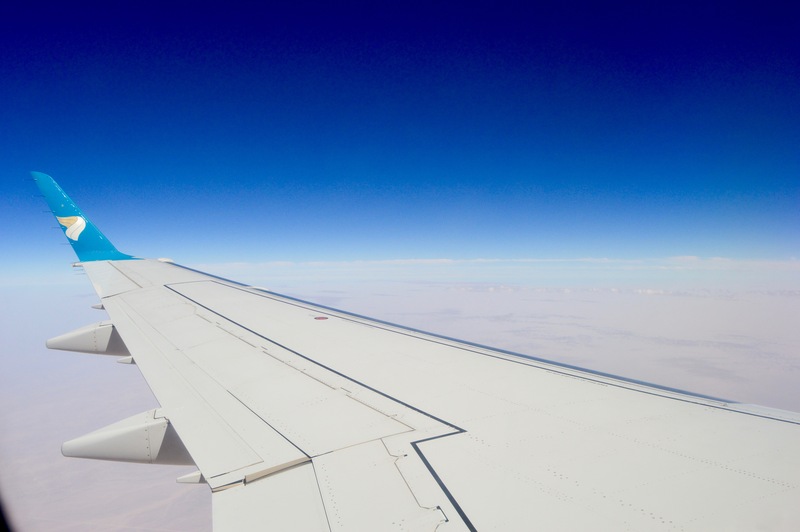 In August 2015 I took a flight to Warsaw – with an Embraer, as well. In direct comparison this flight had more legroom and the aircraft to Poland didn´t have screens. During the flight, it was -once again- exceptionally quiet and without any turbulence. The return flight from Salalah to Munich had a stopover in Muscat; both flights were operated by Oman Air wir an Airbus A330. As I was already used to from the previous flights, the board service was very attentive and the flight attendants were very friendly. 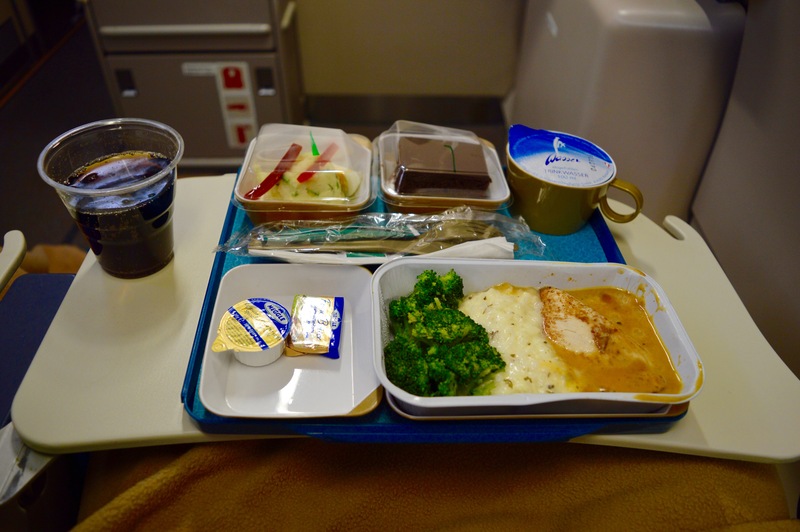 On the return flights, several drinks, snacks and a tasty warm main course was served. Even on these two flights, it was surprisingly quiet, there were no turbulent phases and I reached Munich completely relaxed.